The most exciting thing happened to us this year. Salma and Elvis Garcia, who live with us and share the ministry load here, had been praying about opening a home for girls who were in need. Young girls who have been displaced or are in troubled homes. One of the people we know here in Honduras gave us a house and we turned it over to them to start a girls’ home we have named Sonflower Cottage. Soon we had accepted our first girl, Maria, who is 8 years old. 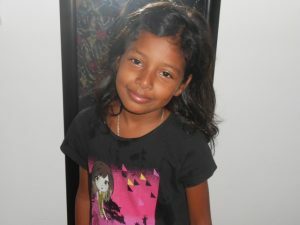 We have enrolled her in a Christian bilingual school so that she can learn English, which is a very important asset when finding work here in Honduras. We will be able to house four girls under our present circumstances and are waiting for the Lord’s leading in bringing in those girls He would want placed here. We will provide clothing, food, housing and education to these girls and help them to improve their lives by the time they reach adulthood. It’s amazing how we have been able to empower Salma and Elvis with their vision, and also empower these young girls to fulfill God’s plan for their lives. Praise the Lord with us!